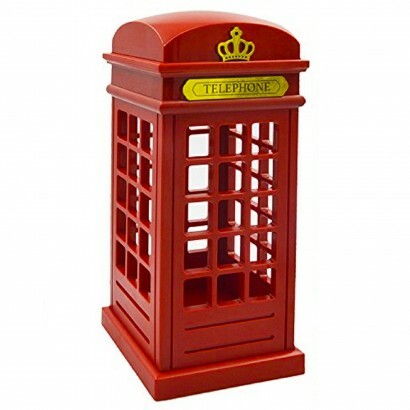 Celebrate Great British design with a stylish red telephone box light. Lit by three warm white LEDs, the light shines through the lamp casting a warm glow into your room and a unique shadow onto surrounding surfaces. 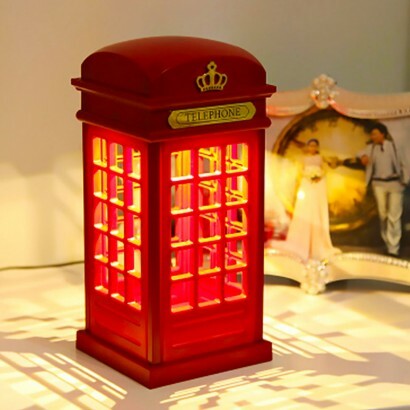 Touch sensitive, simply touch the top of the lamp to switch on and off again for a cosy atmosphere and real retro style. 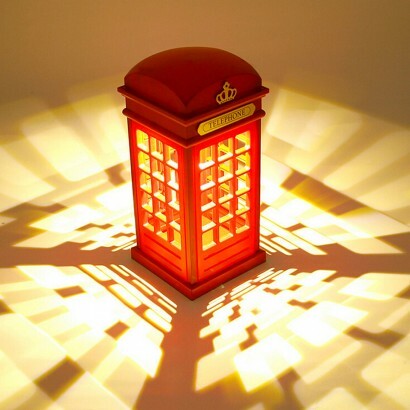 Battery operated, place this retro lamp anywhere in your home for quintessentially British charm. I WAS REALLY SUPRISED HOW REAL & LIFELIKE THIS ITEMS IS ! JUST A SHAME THAT IT DOESN'T HAVE CLEAR PLASTIC IN THE WINDOWS AND PERHAPS A BLACK DOOR HANDLE ON THE FRONT.